We love being inspired to do something special, out of the ordinary, website designs with a twist. Some unusual, but striking websites CamboDesign developed. 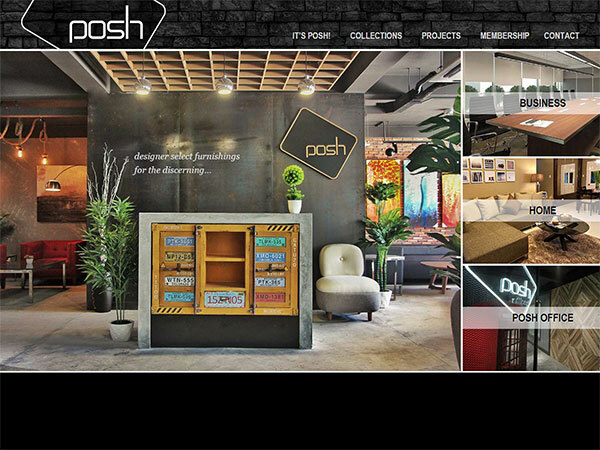 e-Commerce website for POSH, including newsletter system. Transitioning home page. Unique home page grid, content via AJAX, search engine optimized. Bi-lingual (English/Dutch). Smoothly sliding windows, lightbox gallery, mobile optimized. Sliding panels and accordion style Q&A. Flipping pages, extended forms, separate design for mobile devices. Metro style, flipping tiles, slider, gallery pages, reviews page.